Note: Some of those images at made by me, but most of them (cars mainly) have been scavenged from web sites all along the world. I you own one of this pic and you want me to delete it or you want to be acknowledged, please, tell me to the address at the end. 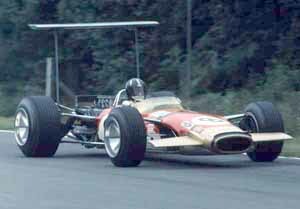 The first monocoque chasis was built because of the regulations reducing engines to 1.5L, favouring light cars.Thee main advantage is a higher stiffness using less weight and frontal area. 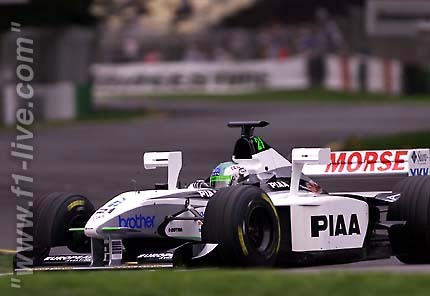 Also the improved suspension improved car behavious in slower turns. 7 wins that year. The main design of the H16 engine consistsin two 8 horizontal engines, one on top of the other. 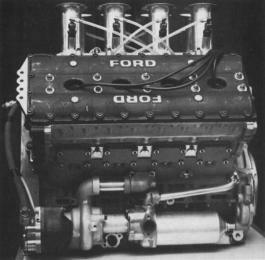 Initialy designed to have only 6 camshafts, before racing, the design had 8 camshaft, elevating the center of gravity. Starting point of the aerodinamics in F1, the wings generate enough downforce to drive upside down. 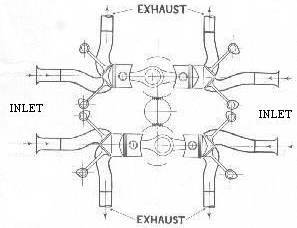 The adoption of the rubber fuel tanks situated after the driver,as it can be seen in the pic, between teh driver and the engine genereted a trend thatit is still alive. 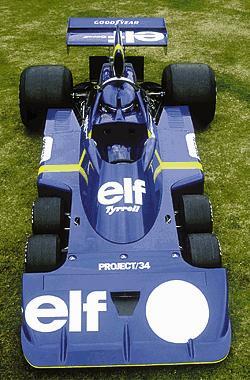 To reduce the frontal section of the car, the front wheels has been reduced and duplicated. One win in Anderstorp(Sweden). At present, all the car must have 4 wheels only. Compressed air reduces the volume and allows more air to burn the fuel improving combustion and providing more power. 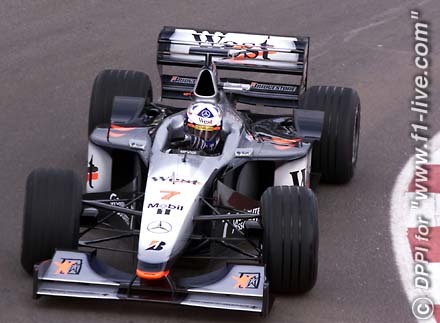 The car wasn't specially sucessfull, but all the teams viewed its potential, adopting it and dividing the Formula 1 in two classes, the ones with it and teh ones without it, making 2 different sets of rule engines and constructor championships. Banned after a while to eliminate this splitting. 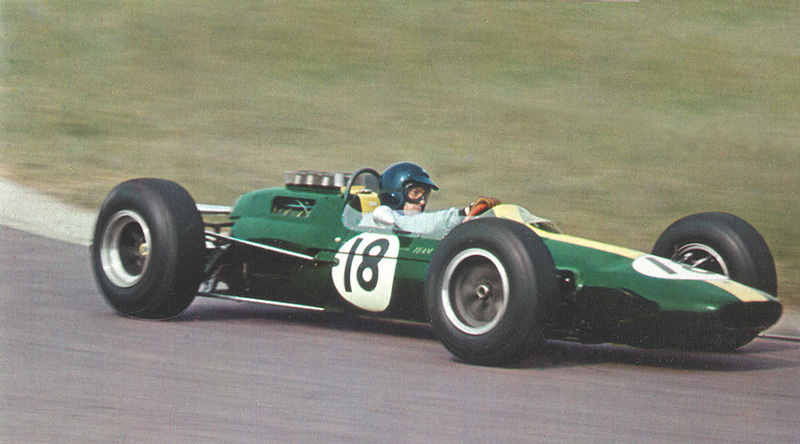 One win at the Swedish GP. Banned after that. 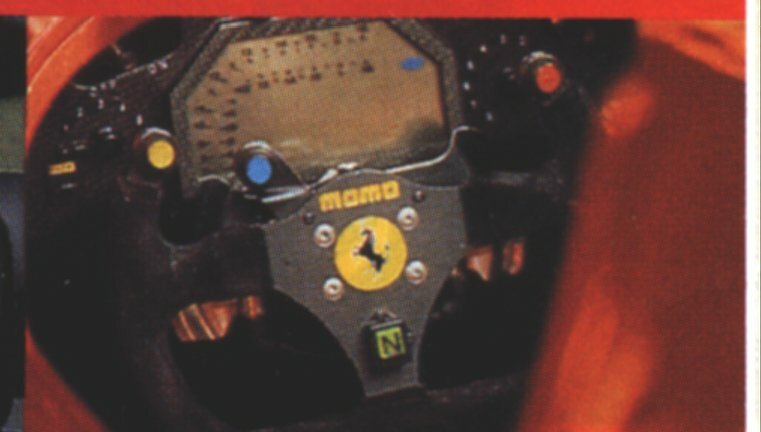 The adoption of a semiautoamti gearbox by Ferrari eliminated the stick and incorporated two paddles behind the steering wheel (the golden ones in the picture), also starting the trend for moving all controls to the steering wheel, so teh driver has not to move hands off it), the right one to shift gear up and the left to shift down; after the system being refined, the paddles get programmable allowing shifts of several gears. The concept is now used by all team. 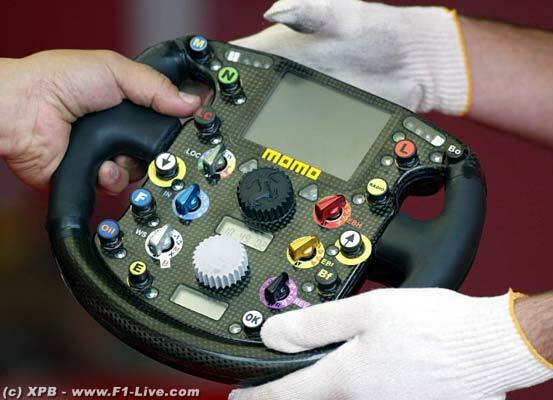 The increase of electronics controlling the car, allowed the centrallizations of the controls into teh steering wheel, giving the driver more information (with LCDs) and more control. 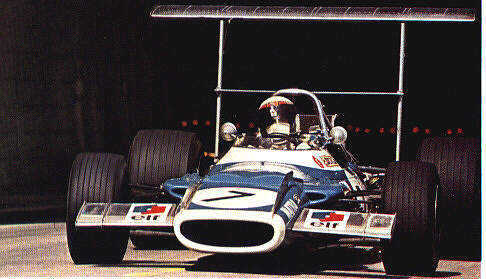 The search of downforce in slower circuits. Improves the air quality through the rear wing. Two keels for the front suspension anchors produces better air under the car. A wider angle lowers the center of gravity.